Half Marathon Training Update #10: The Nuclear Option. I’m training for a half marathon on 3/31. Running is not my strength. I’m a bad, bad runner. But pushing comfort zones is how we get better in life, so I persist. Every Friday, I publish an update on my training. This is Update #10. For most of the past 2 decades, my weight topped 170. I’m 5′, 11″, but have a skinny carcass, so this was unhealthy. Not good. About 6 months ago, I took my blood pressure and it was about 130/80. This is hypertensive. Blood pressure rises with age and much of the damage that results from hypertension is cumulative. There have been a lot of strokes and heart attacks in my family. Really not good. I vowed to lose weight and lose it I did. I’m close to the weight I was at in college. However, I’m still not at my goal. Count calories precisely: Each bottle is 400 calories. I dreamt of Samoas. Thin Mints called my name. Their siren song never ceased. I may have eaten some. I may have eaten a lot. Sugar is addictive. Soylent is NOT addictive. Drink nothing but Soylent for a week and an oyster cracker tastes heavenly. Cooking: No need to spend 20 minutes making a delicious omelet when you can just drink a bottle of stuff that tastes like pancake batter. Mmmmmm, omelets. Not that I’m missing food or anything right now. Bathroom: Sorry, but I need to go here. Not literally. Well, maybe… Number #2’s take about 3 seconds when you’re drinking Soylent. Depending on your perspective, this is either a good or bad thing. I miss my reading time. The first two reasons are why I’m drinking Soylent. By precisely controlling what I eat (short-term goal) and eliminating my desire for sugar and related garbage (long-term goal), I hope to knock off a couple more pounds before the race. This week, my schedule was a little screwy and I didn’t get a chance to get my long run in. I’ll do my 11-miler later today. This will be my longest run before the race. Waitlist: To be notified of any potential openings, sign up here. Future Chautauquas: To be the first to learn about the 2019 Chautauqua, sign up here. 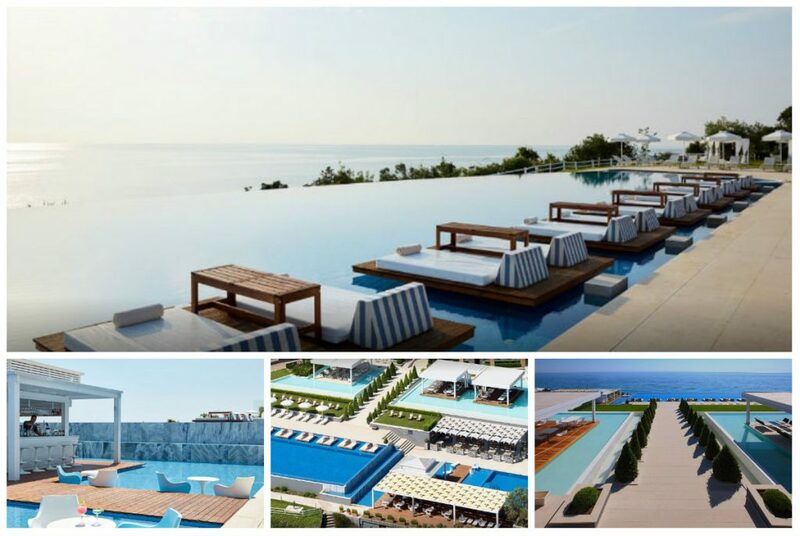 I can’t wait for Greece. Oh no soylent. I think I ordered a box a few years ago to be more productive and it was horrible tasting to me =.=. I think most of the box expired (and that takes a long time)! 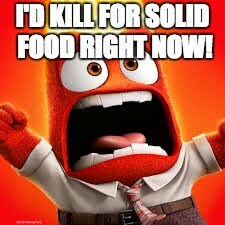 My willpower when it comes to food is, ahem, very low. They seem to have come out with new flavors though! Seems like a good way to lose weight. I know, right? I wish I could turn it off. Someone, please invent gene therapy that makes you love broccoli. CRISPR, you can do it! Great job on the running! I’ve been working out for a few months now and either it’s just not working or I’m not seeing the small improvements (if there are any). I’m also a small/skinny person, so I wonder if that matters at all, but it’s just frustrating to not see or feel any difference after the time put in (I do have a big belly – I feel like a character from a Dr Seuss book [sigh, and no, I’m not pregnant]). Do you plan to keep running and exercising after the big day? Sounds like you’re having so much great progress! 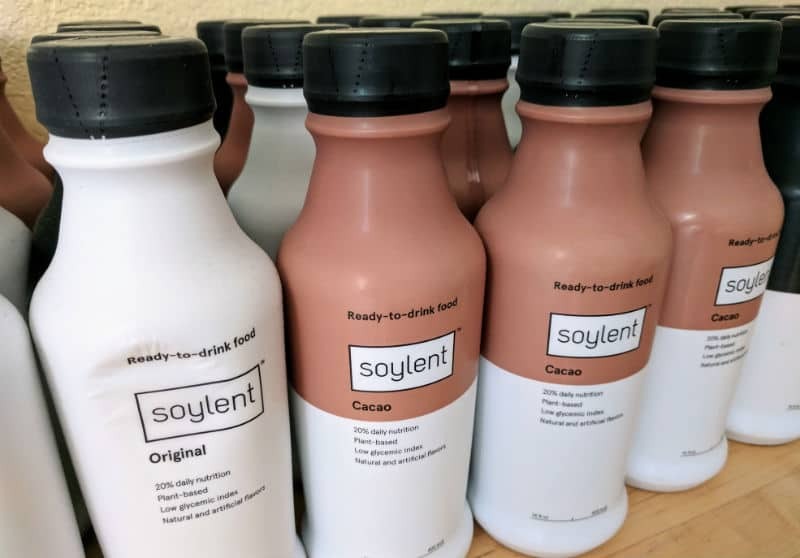 Soylent isn’t awful; it’s just not great. I like it that way too. If it’s all I can eat, I don’t want it to taste good. Keep working at it. The number one thing I do to lose weight is fast walking (heart rate between 100 and 120). This heart rate is slow enough that your body will burn fat (a harder to get at source of energy) over the easy sources (blood sugar) that your body must use during strenuous exercise. This is what the articles on the internet say anyway. It’s totally worked for me. I just started running in December, but I had lost most of the weight before then. Running seems less effective than the fast walking as my weight loss has stopped. I have been so close to ordering Soylent. Just can’t pull the trigger. The idea of it is awesome. In practice, it will likely be exactly as it is.. I experimented with an 8/16 diet where you can only eat in an 8 hour window. It works, but I don’t do well with hunger/fasting. More running is the best way to manage it all. You still can’t eat everything you want. I hope the 11 miler goes well. So important to have one good longer run close to 13 to build mental and physical levels. I do that too. First Soylent is at 10am and dinner at 5:30pm. It’s not easy, but I keep reminding myself that running with a big gut will be very bad. Who the heck came up with the name Soylent anyway?? And I did my six mile run to work again Wednesday as well! Maybe I’ll decide to head down to Portland after all 😉 My only hesitation is that’s a loooong drive to turn around and head back to Seattle for Easter the next day. Hmmmm. Do it! Peeps on me! Over 5,000 miles year to date? You’re either quite a hoss or that’s a mistype 😉 I mean not that you can’t be a mistyping hoss too I suppose. I was averaging about 6 miles walked per day for a while earlier this year then injured my achilles tendon (I think) so I’ve backed it down to a minimum (like 2 miles/day) to heal. Justin recently posted…Should you retire early if you only have five years to live? Achilles, ugh! Get well soon! i don’t think that is a good plan to drink those meals. i’m not qualified in any way to opine, yet i do. Probably not! I’m reverting back to real food one week before the race. Soylent does mysterious things to by gut. I don’t want to waste valuable race minutes in the porta-potty! Also, have you considered just blending girl scout cookies into liquid and making that all of your meals instead of soylent? Scoutlent? what were the 2 beers you had? I am trying to cut back on beer to cut weight as well. I can do with out sweets, but dang it I love a cold IPA. also, I realized you are 5’11”. I have 2 inches of height on you and I would be a rail at 170 and maybe dead at 150. My goal weight is like 185 or 180. Haha, I’m the opposite of big-boned. I’d like to be at 160. My next mission after the half-marathon will be strength training. So my 11 miler is tomorrow morning. It should be interesting. I’m hoping to make it a decent run. We’ll see. I’m breaking in my new shoes. So that’s fun. Also recovering from throwing out my back. But I’m getting there. Just gotta not be lazy. Can you believe we’re only 2 weeks away? if you do 10-11 miles, you’re ready to roll. Just think how good that beer will taste after two weeks of Soylent. Funny you linked to that article. Or not. My 11 mile run today became a 9-miler when I had to make an emergency dash home to sit on the throne. I’m cutting the Soylent out when I get to Portland. I’m not taking any chances there. 9 miler? Pretty good. I did 10 on Saturday. I’ll do another this coming weekend. How’s the knees and legs holding up? You still aching? Yeah… soylent would make for a very interesting experience while running. I’ll just have to make sure to stay in front of you. Dude, you are killing yourself with that processed crap! Just stick to plants, a lot of them, whole if you can. You will get more then enough protein, you will get more energy, feel full and actually improve you health. It’s so much easier to maintain, and has too many benefits to note. I admit that I’ve never heard of Soylent, but after reading this post and the comments I have no desire to try it. I’m also 5′ 11″ and I’m pretty content at 170lbs, although there is a bit of an old man belly at that weight. I made it down to 158 after my first marathon, but haven’t gotten close since. Good luck on your (first and last?) half marathon! My weight loss journey is stalled. If this works for you, I may try it. WILL ROBINSON STEP AWAY FROM THE BUTTON! The worst thing you can do right before a race is to change your diet. This can be a killer to you on race day. So you are caring a little extra weight it wont kill you. I recommend that you read The Complete Nutrition Guide for Triathletes. It will help you with your weight loss. I know you are not as crazy as I am but read the book.